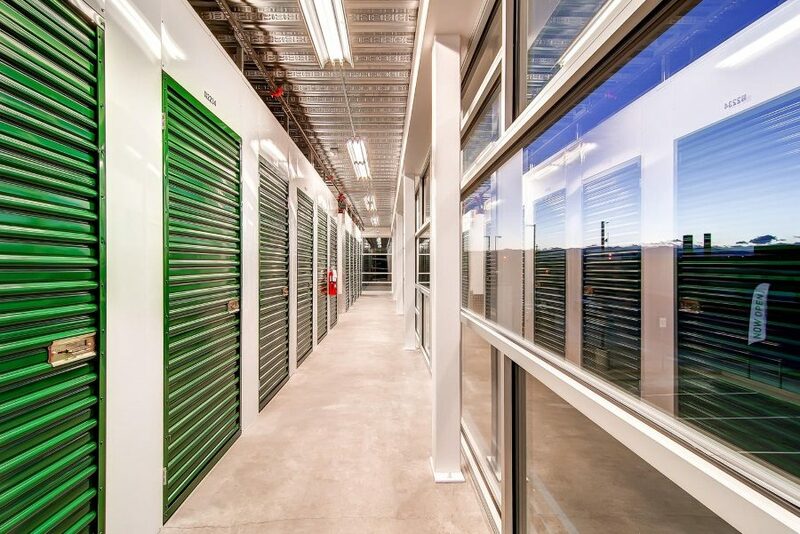 The first location of Greenbox Self Storage opened in January 2013. The 65,000 square-foot facility offers 747 storage units over 3-levels. Focus Property Group strategically placed on Brighton Blvd, a street lined with large apartment complexes with residents in need of self storage. Powered by 234 solar panels, the building generates 76,394 kwh each year saving an estimated 180,695 pounds of carbon dioxide from being emitted. Additionally the building was constructed with energy-efficient insulation and recycled building materials earning it a LEED silver certification. For more information on this facility please visit the website here.